Welcome to our 2014 Renovated Tropical Getaway! The Grand Champion Golf and Tennis Villas are located on the Championship Wailea Blue Golf Course. Within five minutes of white-sand beaches, shopping, and first-class restaurants, this condominium is a first-class resort. Our unit is located on the first floor. Relax in comfort on a California king size bed. 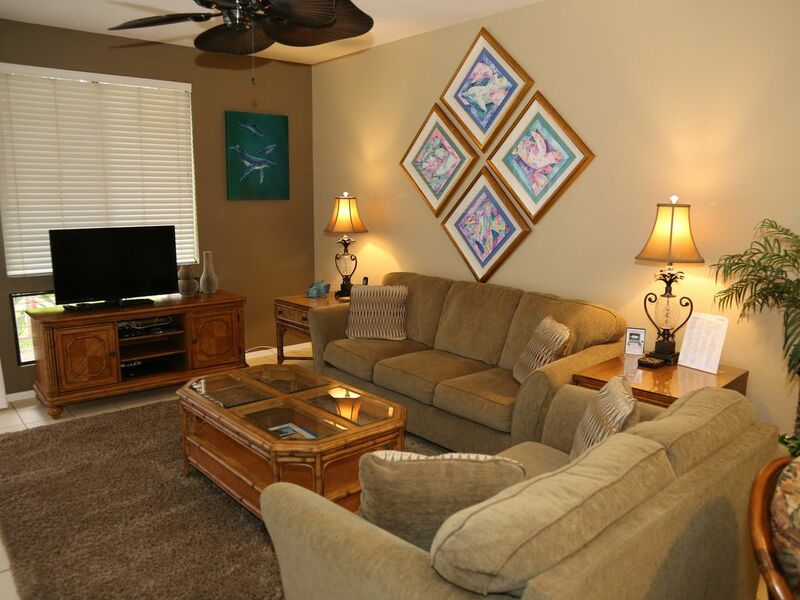 Nice spacious tiled living room with a flat panel TV for your viewing enjoyment. A fully-equipped kitchen with Granite and Stainless Steel Appliances and a stackable washer and dryer. Visualize yourself relaxing on your own private lanai enjoying a garden paradise view sipping a nice cup of coffee or a tasty cold beverage. There are two pools and jacuzzi areas with gas barbecue for your enjoyment. All this is situated in a lush garden setting, with a secured entrance and your own private parking area. Come and enjoy all this for an outstanding vacation.